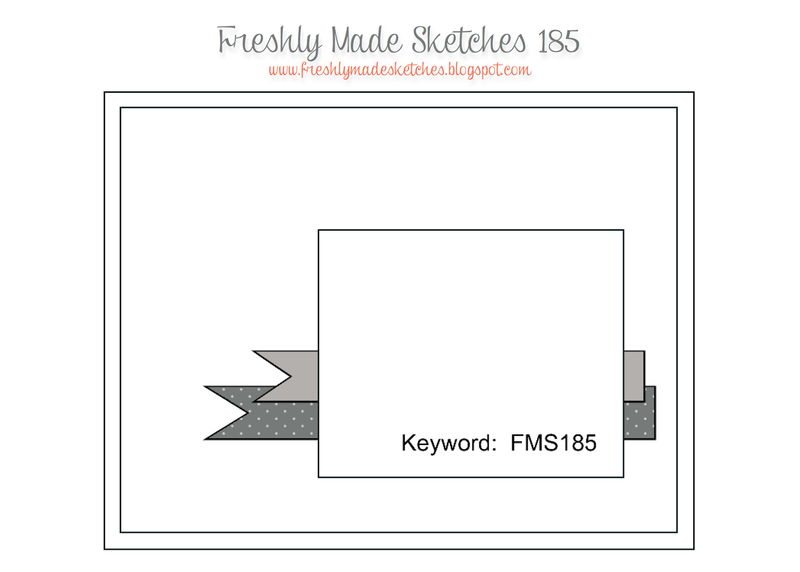 It's been a while since I've played at Freshly Made Sketches but when I saw Karren's sketch this week, I really wanted to have a go at it. It was such a lovely sketch and it had endless possibilities. Despite it being a long weekend here, for Queen's Birthday it has not turned out to be quite the craft-fest I'd hoped for since one of my children ended up in hospital with appendicitis. But she's home now, is on the mend and I haven't missed the deadline! I cut a window into the Hardwood stamped panel and made a frame for the window using square framelits. This panel is raised on dimensionals and the sponged and stamped scene is attached to the Early Espresso card base. Stamps: Hardwood, Wetlands, Banner Blast. 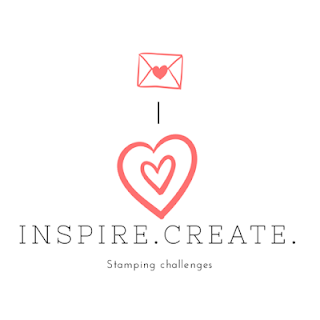 I've been following both Try Stampin' on Tuesday and the Monday Lunchtime Sketch Challenge for a couple of months now, and I'm not sure why, but I keep confusing them. Perhaps it was because I discovered them at the same time or some of the same people are involved. 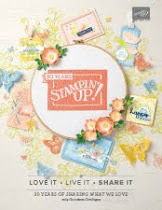 Anyway, last week I posted a message on the Try Stampin' Facebook page and later in the day, realised that I had publicly confused the two of them! Which really goes to prove that you should not post a comment on Facebook until the first cup of coffee of the day has had a chance to kickstart your brain! 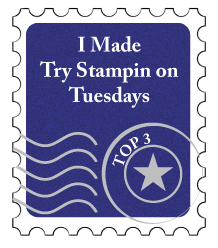 So, in atonement, my first task this weekend has been to play the challenge at Try Stampin' on Tuesday. A pretty straight forward interpretation of the sketch. My first plan had been to use my beloved SU Dictionary stamp in the background but since I'd gone to a 15cmx15cm card to better accommodate the sketch, that wasn't a go. 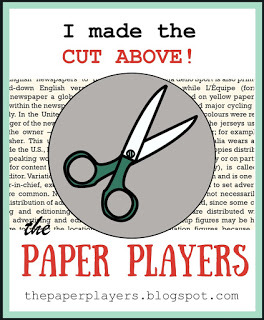 So I had to turn to my discarded library book, first butchered for a Paper Players Challenge earlier this year. Dismemberment gets easier each time you do it, I have discovered and I cut the index page to make the background for this card with hardly any guilt at all. Which, for a librarian, is really saying something! The result is a quite masculine card and I really love the little glasses die cuts. 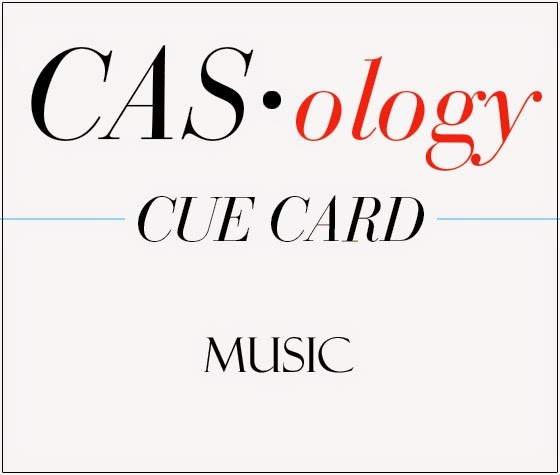 It was an unlooked for, and unexpected, pleasure to have my card chosen at Casology for the Music challenge. 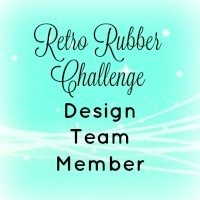 Even more so when I was offered the opportunity to be a guest designer for this week's challenge. Given my background as an English teacher, my current work as a Young Adult librarian and being in possession of a long-established reading habit, story to me will always be books. As indeed, it is for many of my friends. 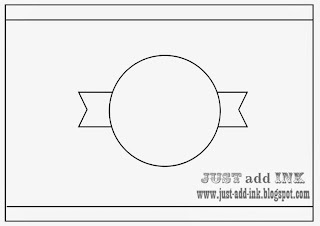 This presented something of a problem to me as a stamper - the only stamp set I had to hand for this is Darkroom Door's Bookworm. 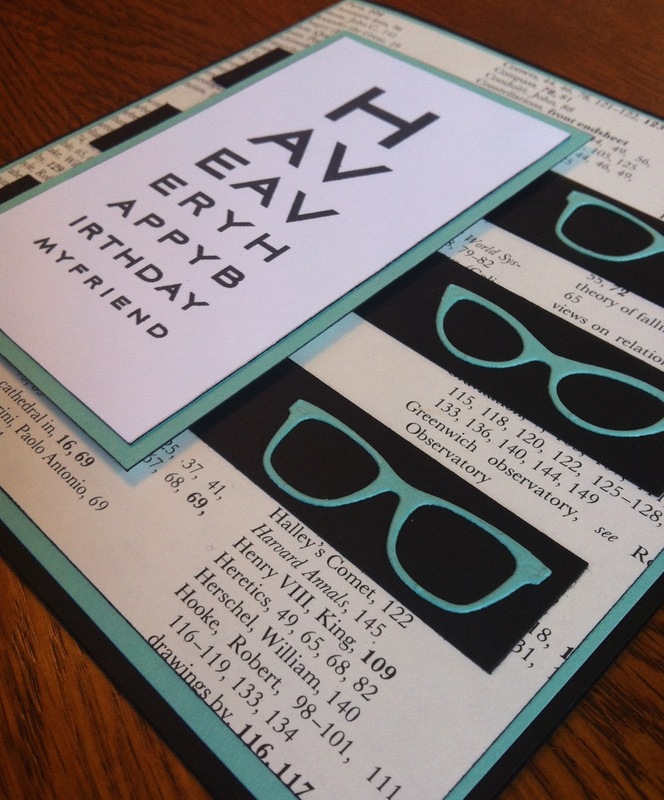 It's got the coolest reading sentiments and it was in support of my reading habit that I originally got this set. The set is semi-distressed in style, with lots of shades and shadows but I wanted to convey the idea that the books are a source of light and joy - more than dusty pages and antique covers. 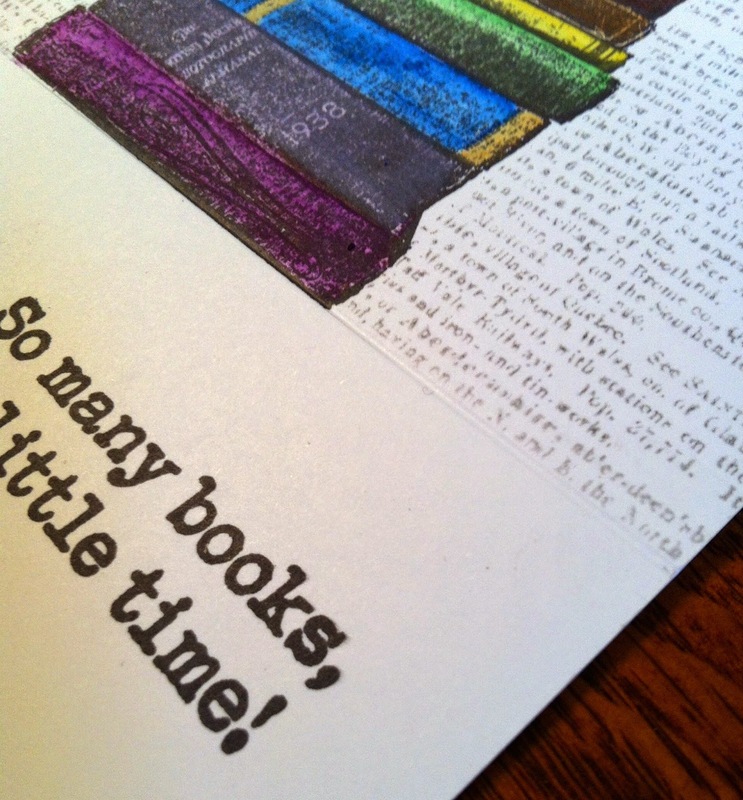 That is why I water-coloured each book in the pile in a rich shade of the rainbow and so making the book pile the focal point of the card. Then I counterbalanced the weight of the books by stamping the sentiment as a reflection of an imaginary vertical line down the centre of the card. I divided the card by scoring a line under the books. I'm very happy with the contrast between the monochrome of the sentiment and background words and the vibrant rainbow of books: the story is the joy. 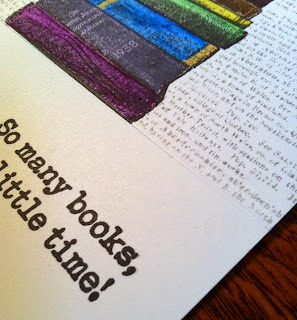 This will make a great card for friends who love books and reading, whose idea of a good time is sneaking time to read a good book! Like me. 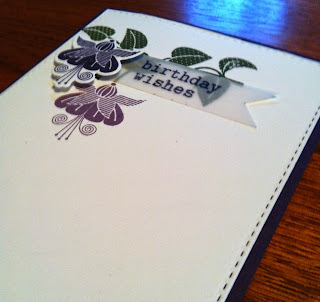 Last week, I did an entry for Time Out's challenge of "grunge with an optional twist of embossing". I wasn't entirely happy with it. 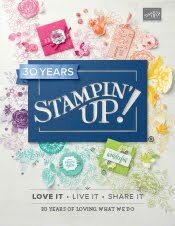 It utilised grunge elements, namely the splatter effect, provided by Stampin Up's Gorgeous Grunge set but it was essentially a CAS card. 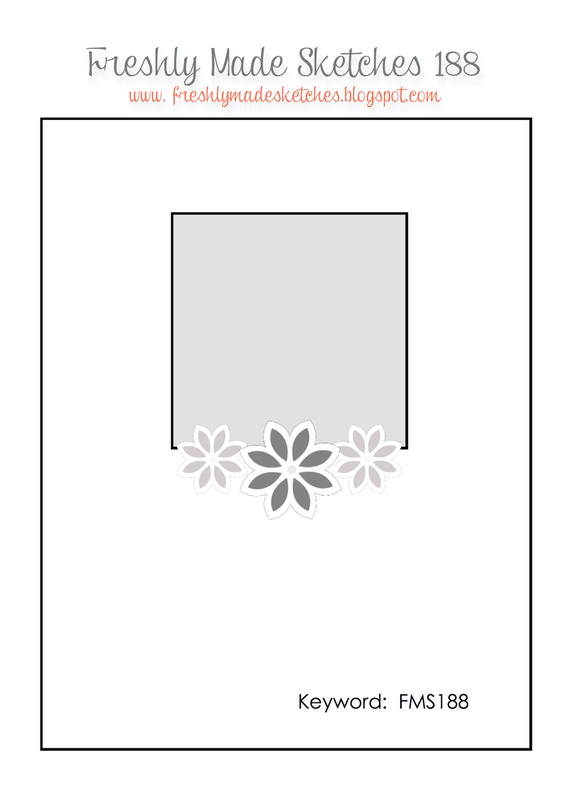 I started to wonder what would happen if I actually tried to create a real grunge-style card. Could I? Would my tendency for clean, open space get in the way? 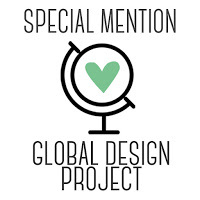 So I studied up a few examples from the design team and Stamplorations blogs, read around a bit and plunged right on in. 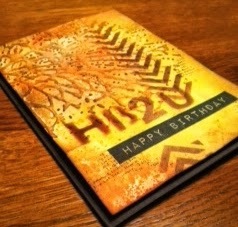 Here is the result, which utilises both grunge and the optional twist of embossing. The panel started out Whisper White but was swiped through an ink mix of distress inks: Spiced Marmalade, Scattered Straw and Brushed Corduroy. The edge was distressed with Vintage Photo, and TCW chevron stencil was used with Vintage Photo to add the chevrons. 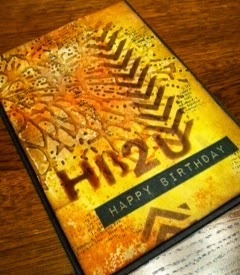 Some stencils out of the kid's art box provided the HB2U, which is Spiced Marmalade overlaid with Vintage Photo. Splatters from Gorgeous Grunge using Spiced Marmalade and Mustard Seed added splatter down the vertical formed by the chevrons and the horizontal provided by the words. The Happy Birthday was stamped using black with Altenew's Label Love set. 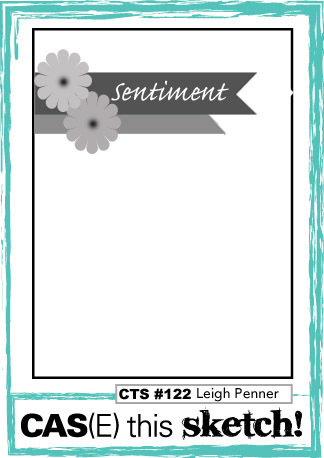 I used black with SU Dictionary to add in some spots of text and to pick up the colour of the main sentiment. 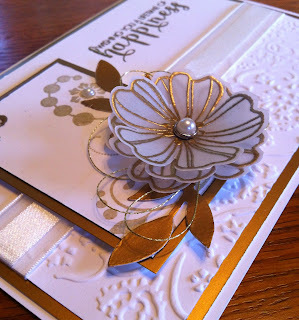 Finally, I used a Tim Holtz Alteration embossing folder, that I got cheap at The Warehouse, to emboss the top 3/4 of the panel and then I brushed very lightly over the top with a blending tool and Vintage Photo ink to highlight the embossing. Then, I mounted the whole thing on foam onto an Early Espresso card base. Actually, it's a card I wouldn't mind receiving and I'm pretty happy with it! 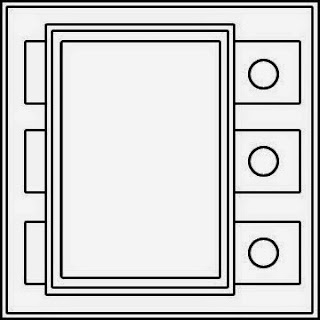 I've got some other panels inked in different colours and based on this, will carry on to make them into cards. 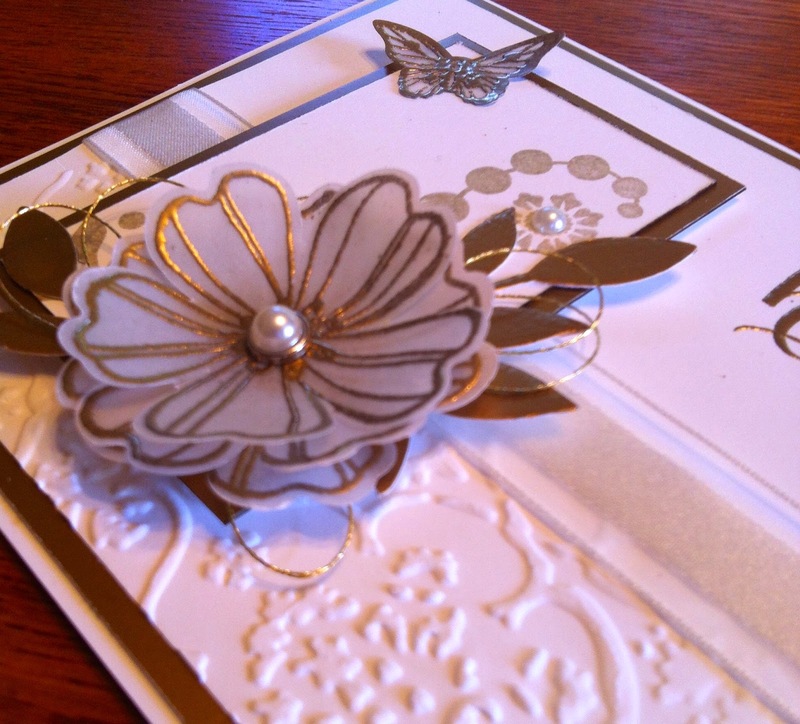 This week's challenge at Just Add Ink is a wedding card, which is something I've seldom done before. So I have decided to shamelessly indulge myself in a luxurious, opulent gold and white creation. I had to dig out the gold embossing powder to pair with the vellum flowers, butterfly and sentiment. The gold ink used with Flowering Flourishes laid down a background for the rest of the flowers. Gold metallic embroidery thread looped around created an added layer. The vellum has photographed quite grey but it looks whiter in real life. Other: Leaf sizzlit, Gold metallic embroidery thread, Textile embossing folder, Organza ribbon, brad base, pearls, dimensionals. 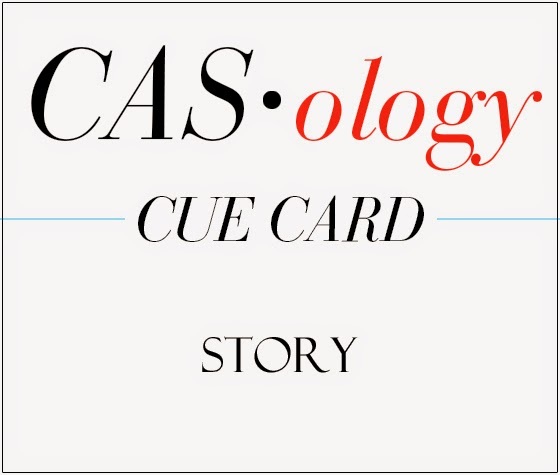 Yesterday, I made two music cards thinking of the challenge at Cas-ology. 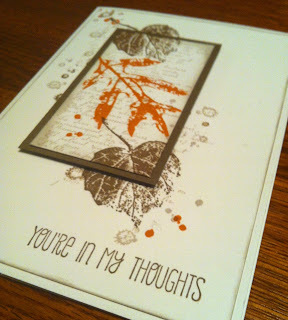 For this one, I was also thinking of the challenge at Time Out - Grunge with an optional twist of embossing. It seemed a bit odd, combining a CAS challenge with a grunge challenge! Funny how grunge elements can work well in a CAS card. 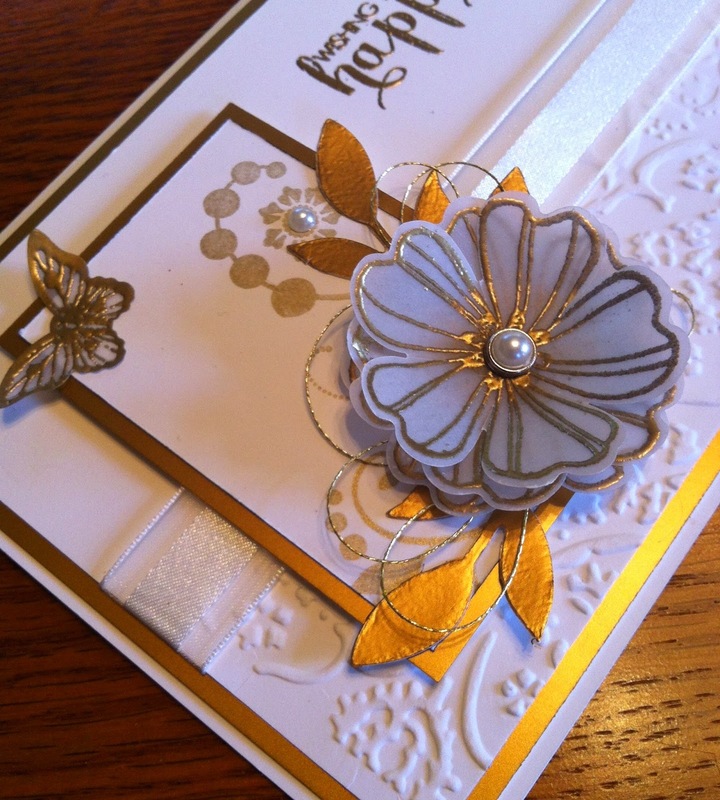 This is certainly a simple card - the Virtuoso Music die is beautiful and needs little else with it. As soon as I saw the sketch at Create with Connie and Mary this week, I knew what I wanted to do: stamped collage tiles based around Butterfly Basics, but wasn't sure what colours I wanted to use. 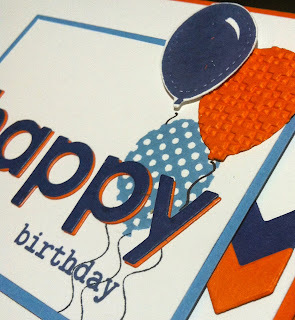 I have been lucky enough to be a guest designer at Just Add Ink this month, and the colours for this week's challenge are Pool Party, Calypso Coral, Crumb Cake and Pear Pizzazz. I realised that I just hadn't finished exploring with them, so decided to play with them some more - but also with the freedom to include other colours if I wanted. I discovered the last time I tried this that I got better results by sponging a panel and then cutting the butterfly than the other way round. I like the look and might give it a go using three colours sometime. 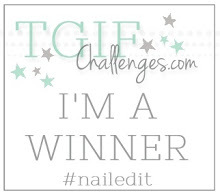 Update: So delighted to be in the Top 3 at Create with Connie and Mary! Inks: Pool Party, Calypso Coral, Pear Pizzazz, Crumb Cake, Early Espresso, Black. 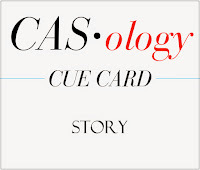 I often look at Cas-ology but don't often play; the entries are always so beautiful and so intimidatingly clean! But this week's cue card was just too tempting. I'm a bit of a sucker for music cards, since I have a son who is a composer and classical pianist and am always thinking of occasions for him! Consequently, I do have a stash of musical stuff. Anyway, I made two cards for this but I'm not sure if I'll post the other one yet - I'll start with my favourite one. My son has a performance of one of his compositions premiering in Wellington next week and a card would be nice for that. 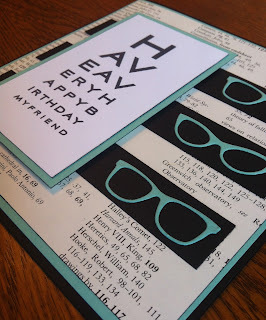 I was also thinking about times when I've wanted a card for children who are doing music exams or recitals so that's how the 'bravo' came into the card. I made a circular mask for the musical score stamp and it worked really well: far better than on previous attempts! 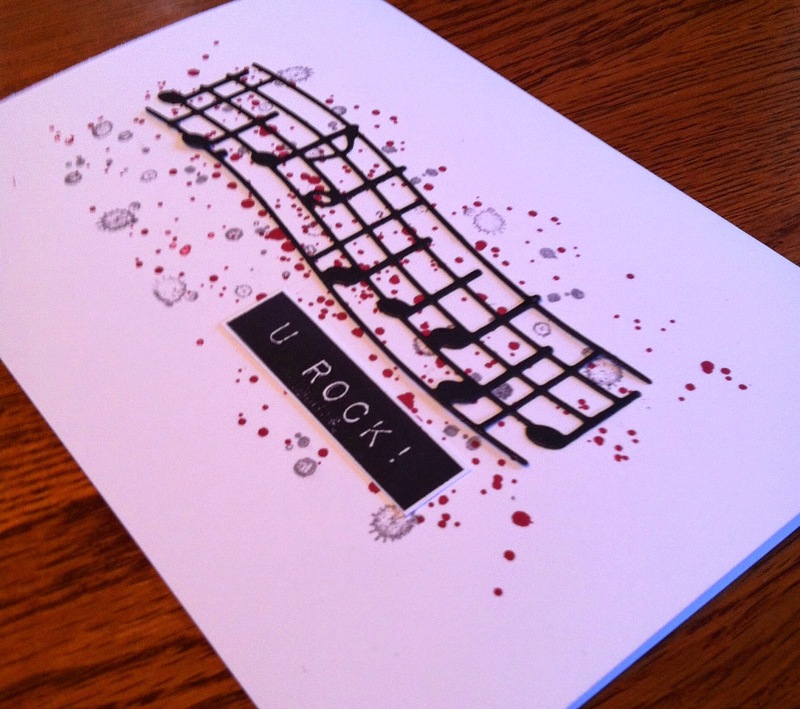 The die cut clef is from my new stuff stash, from an on-line sale - like I said, a stash of musical 'stuff' has grown! This week's sketch at CAS Colours and Sketches almost had me stumped and initially, I wasn't going to play this week. 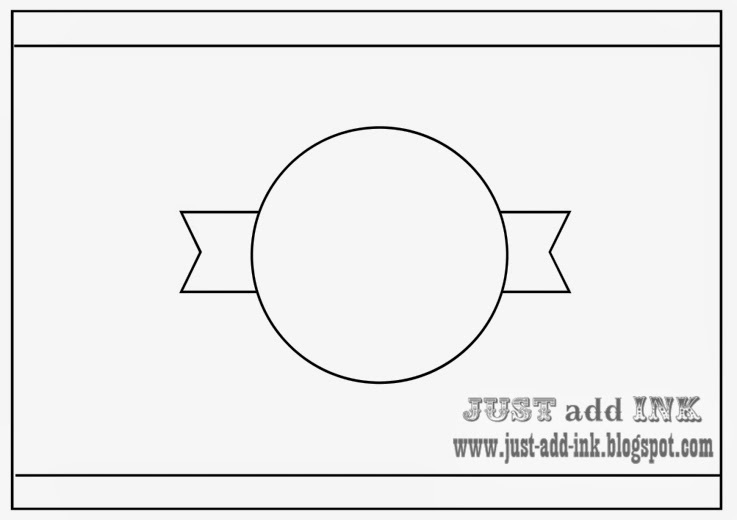 If you have read other recent posts, you'll know that one of my current areas of experimentation is in highlighting areas of stamps, so that gave me an idea for this sketch after all. So, I've had a go but I'm not sure what I think. Usually, I know if I like it or not but I keep changing my mind about this one. So, in a moment of feeling fondly about it, I'm going to post it after all! Update: Delighted that this card made the Weekly Winners at CAS: Colours and Sketches. Other: Bitty Butterfly punch, circle framelits, dimensionals, Elegant Eggplant marker. 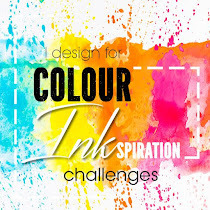 Well, it's week 2 of my guest designer time at Just Add Ink and, as always, another beautiful challenge. 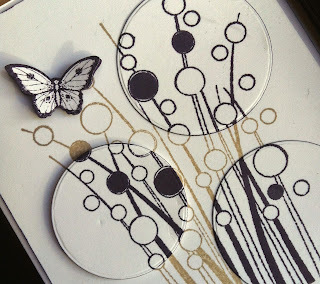 This time, a colour challenge, using some of my favourite colours from the Stampin' Up Subtles and Neutrals collections. Since I'm still in love with my Dictionary Background stamp, despite its imminent retirement, and I'm still besotted with my last minute purchase of Butterfly Basics, both of them make an appearance in today's card. I do love playing with the effects you get when you spotlight part of a stamp by framing it and/or raising it up and keep coming back to experimenting with that idea. 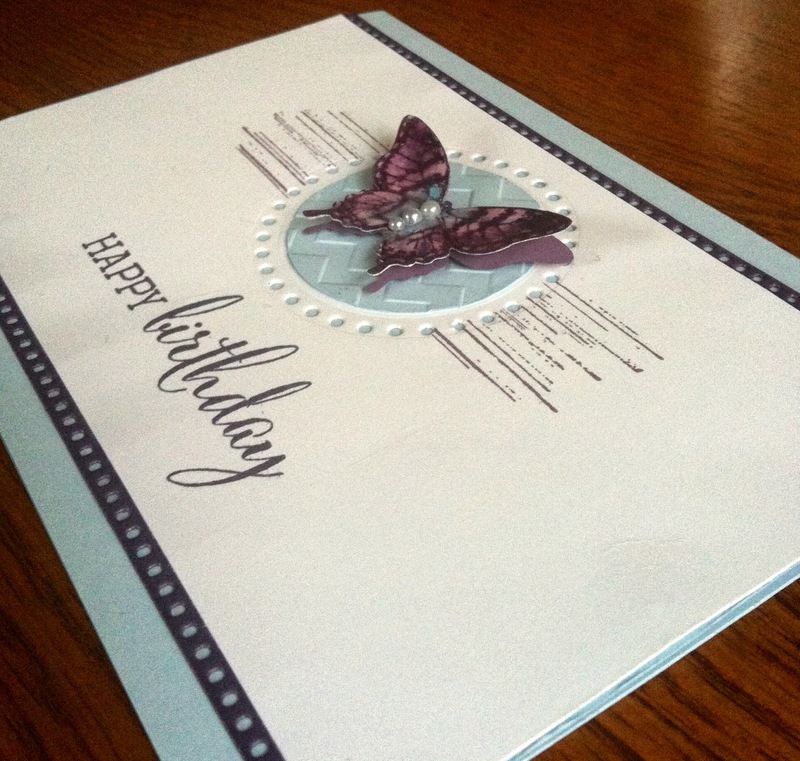 First I tried cutting the butterfly and sponging it after, but I got better results when I sponged the white card with Pool Party and Calypso Coral and then cut out the butterfly. Another favourite of mine is the linen thread and I think that technically speaking, it's Crumb Cake coloured! So I used it on the butterfly and the ribbon. 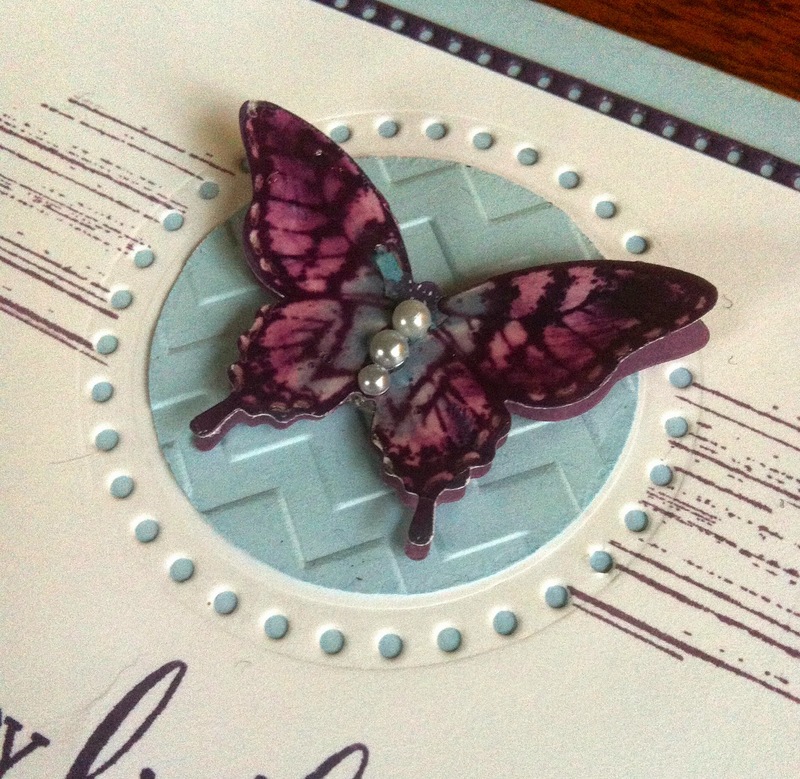 Stamps: SU Dictionary, SU Butterfly Basics, Clearly Besotted Fabulous Fuchsia for the sentiment. Other: Butterfly thinlit die, Pool Party seam binding, Brad base, Calypso Coral candy dots, linen twine, oval framelits, dimensionals. 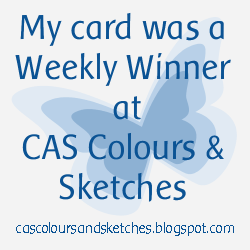 I've played at CAS Colours and Sketches quite a few times now and always enjoy their challenges - thank you team! 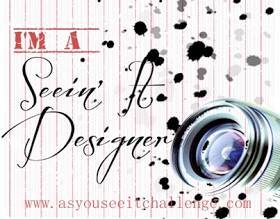 This week, it's colour week and it's an unusual combination to me - not colours I'd have thought of combining. It's autumn here in New Zealand, so the colours made me think of the earth and leaves, endings and beginnings. The weekend was glorious autumn weather and the trees are an absolute picture at the moment, although quite a few have lost their leaves so winter is coming. I have to confess to not owning Tangerine Tango so I've used the closest thing I have, which is Tangelo Twist. French Foliage was the third SU set I ever got and I still love it. The rain splatter from the set gets a lot of use as it's so versatile. I put in a few tangelo splats in to help lead the eye down to the sentiment. The centre panel is made the focal point through the frame, the colour, by being raised up and the sponging around the edge. This is echoed with a very light sponging around the edge of the white rectangle, just to add a touch of definition and to help tie the colours together. In the end, I felt really pleased with the result and could see myself using these colours together again. Well, since today is Mother's Day I'm not feeling guilt at being in my scrapbooking room while someone else younger than me is cooking dinner. Given this time bonus, I almost didn't know what to do with it! I settled on working on something for the lovely sketch at CAS(E) this Sketch. During the weekend I answered a Facebook discussion question about favourite colour combinations. 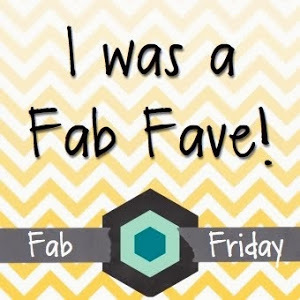 It was a really difficult one to answer because firstly I find colour favourites go in phases and secondly because I think my mood affects what I want to work with. However, in the discussion question I did include that I often seem to go back to purples and that's what's happened with this card. Update: Delighted to receive an Honourable Mention at Cas(e) this Sketch! Other: SSS Stitched Rectangles die, Clearly Besotted Fabulous Fuchsias die, dimensionals. It's funny how sometimes an idea just comes to you and you just have to work on it. 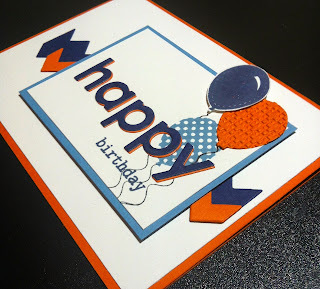 Really, I should be tucked up in bed fast asleep but I had to get this card done first.... and then I saw that I only have ten hours until the challenge at Less is More finishes. So I really had to stay up to get it done then! This card is based around the sketch at Freshly Made Sketches this week. And also the challenge at Less is More, to use colours from the opposite sides of the colour wheel, in this case I've chosen blue and orange. Ideally, I'd have waited until morning and taken a photo in natural light ,,, but only ten hours (or nine and some minutes) to go to closing... so here it is.